You can get a lot of great ideas from listening to customers. A few years ago, I met a client for coffee. She had sent her entire team through my Delivering Next Level Service training program and the results were looking good. Still, my client was worried. "I want to keep my team sharp by continuously reinforcing the skills they learned in training," she said. "My challenge is I don't always know how to do that. I wish I had an easy way to remind them... and to remind me." We brainstormed a little until we hit upon a simple solution. I created an automated system that emailed one customer service tip per week to each person on her team. My client would get the email too so she could follow-up with them. Many customer service teams have regular meetings. 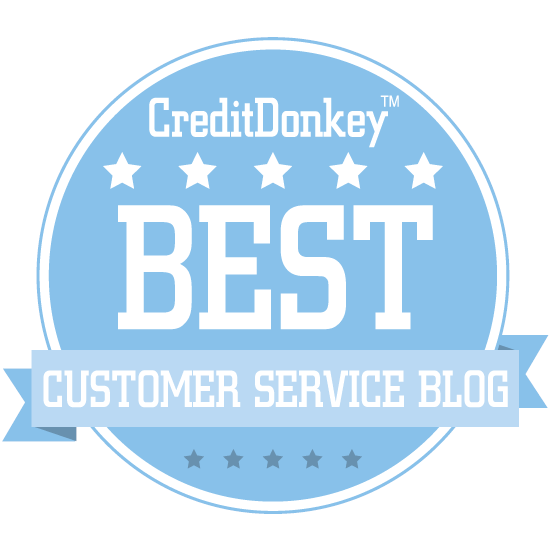 You can use the Customer Service Tip of the Week to generate discussion topics to share with the team. Let's say the current tip was Use Positive Body Language. You could lead a discussion with your team to brainstorm ways that body language can positively impact your customers. Then, at the next team meeting, you could ask for people to share success stories and challenges they experienced when being mindful of the body language they displayed. You can also use the tips to address a specific need. 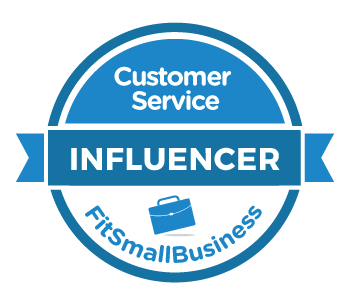 My Customer Service Idea Bank page allows you to search for tips by category or keyword. For example, you could search the Solving Problems category to come up with a list of tips that were useful for working with upset customers. Clicking Solving Problems will bring up a list of tips in that category. You could then select three to five tips that were really applicable and share them with your team. The tips are designed to be reminders, but many of the tips contain helpful new ideas that your team can use to elevate their service. For instance, the Five Question Technique is a terrific way to build rapport with customers while simultaneously identifying additional ways to serve. Best of all, even introverts can use this technique to become skilled conversationalists. The tips were originally designed to reinforce concepts taught in my customer service training programs. The reminders help participants retain what they learn long after they attend the training. These reminders work well whether you're team attended one of my onsite training courses, live webinars, or even took one of my courses on Lynda.com. The reminders can also be used to reinforce other training programs because many are so general in nature. Some people just want to know the most cutting edge ideas in customer service. That's why most of my weekly tips contain a link to a blog post or a helpful resource. One of my recent tips was Tell The Truth. The email contained a link to a bonus blog post that detailed how a service failure and a lie created a customer service uproar that briefly grabbed national headlines. You can use the form below to sign-up for my Customer Service Tip of the Week email. Or, pass this blog post on to your team and have them sign-up too. Draw inspiration from someone else. Let’s go with option 3 because I already have someone in mind: The Lazy Customer Service Manager. Before I go on, please excuse any snarkiness. I’m too lazy to edit that out today. I’ve met a lot of customer service managers. The great ones work tirelessly to help their team deliver world class service and the results speak for themselves. The lazy ones work tirelessly to find shortcuts. Most of those shortcuts don’t work. Their results speak for themselves too. That was a real example. I so wish I was making this up. Great customer service managers take a slightly different approach. They focus on making the workplace a great place to be so people will naturally want to come to work. There are a number of reasons why the lazy manager will put out a suggestion box. Perhaps the manager read an article somewhere that the best companies ask their employees for input. Maybe Office Depot is having a sale on suggestion boxes. It could be that the manager is just looking for a way to get employees to stop complaining directly to him. The possibilities are endless. One lazy manager I knew thought he was enlightened when he promised to post a written response to each suggestion on the team bulletin board. This practice quickly stopped when the vast majority of suggestions turned out to be complaints about working conditions, co-workers, and even the boss. Again, I really wish I was making this up. Great customer service managers skip the suggestion box and talk to their employees on a regular basis. They recognize that a true “open door” policy requires them to walk through their door and create an environment where employees will be comfortable enough share their candid opinions. Incidentally, I did Google “suggestion box” as part of my exhaustive research for this blog post. Sharlyn Lauby has a good post on her HR Bartender blog called 7 Considerations for Suggestion Box Programs. Serious customer service issues can sometimes arise. The lazy manager often addresses these issues via an angry memo that’s emailed to everyone on the team or perhaps posted on a bulletin board. Typically, only one or two people on the team are actually to blame, but the lazy manager finds it safer to get everyone involved rather than speak privately with the people who really need to hear the message. You can read more about the story on Patrick Maguire’s I’m Your Server Not Your Servant blog. Great customer service managers skip the angry memo and constructively address issues as soon as they arise. For example, a customer complaint might be treated as a learning experience and met with a discussion on ways to improve service quality. 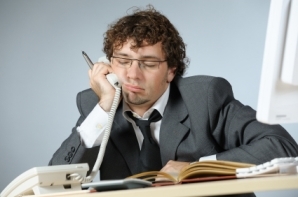 What are other characteristics of a lazy customer service manager? Some might call this last part lazy since I’m basically asking you to finish this post for me by leaving your comments. I prefer to call it crowd-sourcing. Whatever the term, please do share your own examples of signs that a customer service manager is being lazy.